Despite the female username, I'm a guy. I love books, music, movies and television. I volunteer at my local library and hope to be employed there soon. Also…I have a huge crush on Victoria Justice. 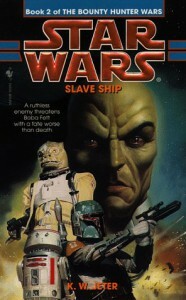 This book is pretty much in the same vein as its prequel, "The Mandalorian Armor." So, if you liked the first entry in "The Bounty Hunter Wars" trilogy, you'll probably enjoy this one as well...but, if you didn't care for the first outing, I'd suggest staying away from this second one. I wouldn't recommend reading them out of order, though; doing so would probably lead to serious confusion.